Right before entering the break to celebrate the holidays with their families, DIS students welcomed back DIS alumni from universities all over the world. Returning home to reconnect with faculty and old friends still here at DIS, alumni shared their accomplishments with students and updated them on their exciting new developments regarding university life. Students were thrilled to hear alumni discuss and answer questions on a wide range of university topics, ranging from dorm life, college preparation, standardized test taking, extracurricular collegiate activities and choosing the right university. 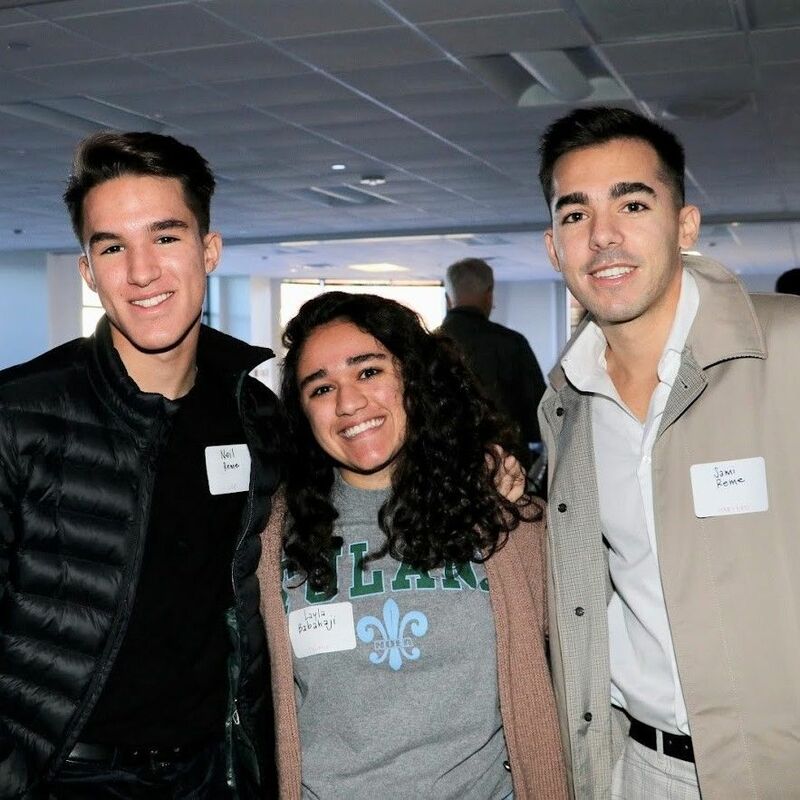 Many alumni spoke about how DIS’s high school curriculum directly prepared them for university, and how the course load in their final high school years put them at an advantage over their peers in their freshman and sophomore years at university. Alumni Chase Fitzpatrick and Caroline Wolf shared with DIS students how DIS’s French immersion curriculum brought them to such an advanced French level that they were able to test out of early French courses, tutor other students in French and even study abroad in French speaking countries. Alumnus Sami Reme shared his experience attending Harvard, and life at one of the nation’s most prestigious universities. Alumnus Sebastian Gray explained how DIS prepared him for West Point, the United Stated Military Academy, and the mental, physical and academic obstacles he has overcome during his freshman year. Computer Science major, alumna Victoria Huang, filled students in on her transition from DIS to the Ivy League, now attending the University of Pennsylvania. Victoria will soon be entering the Master of Engineering program at the University of Pennsylvania and is juggling multiple job offers with start-ups and tech companies all across the West Coast. We thoroughly enjoyed our returning alumni and look forward to the next Alumni Day to hear all the exciting stories our alumni will bring back with them. Juste avant les fêtes de fin d'année, les élèves de DIS ont accueuilli des anciens élèves venant d'universités du monde entier. Les alumnis qui étaient de retour chez eux ont voulu partager leur expérience avec leurs enseignants et amis restés à DIS et leur donner des nouvelles concernant leur vie à l'université. Les élèves étaient ravis d'écouter les anciens discuter et répondre à leur questions portant sur une vaste gamme de sujets, allant de la préparation aux universités, l'inscription aux examens, les activités extra-curriculaires, la vie en résidence et enfin choisir la bonne université.